Sandy Straits and Beyond: Smallest Shorebirds. the red-caps are adorable! i always think the oystercatchers are so striking. I always love your bird friends and your terrific captures every week, Mick!! Thanks for sharing! Have a great week! Looks like a beautiful day on the water. Beautiful little birds. What a great outing! 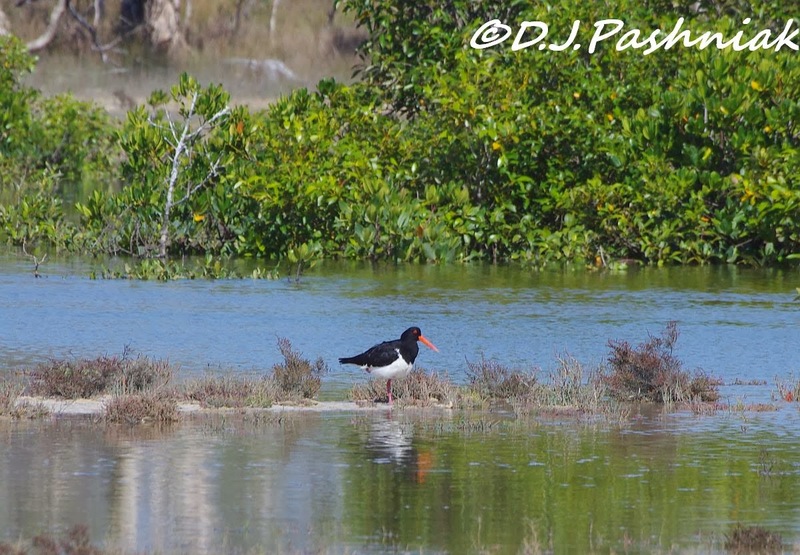 I love the shorebirds, especially the Red-capped Plover and the Oystercatcher. The pelicans are a favorite too. Great post. Wow! What a wonderful place to have access to! Very cute little lovely birds. What a lovely set of shots. Good to see so many stints together like that. 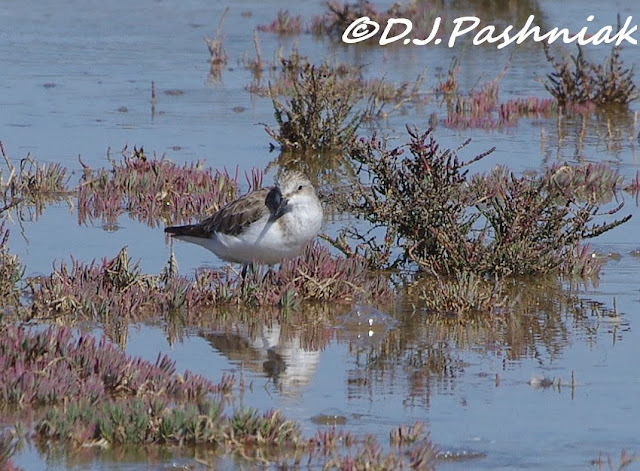 It's a long time since i saw my one and only Red-necked Stint here in the UK but I note that one in particular in your pictures has quite a hefty bill (for a stint). Like the oyster catcher. Would love to glide along in a kayak watching the birdlife. lovely little shorebirds! I can never get over how far the red-necked stints come when they are so tiny. Where do the POs nest in that habitat? Beautiful photos and bird. With a kayak in such an area must be incredible. You are always rewarded on your bird watching excursions and these are some lovely beauties! That's a pretty striking shot of the oystercatcher. Love the colors in that one. 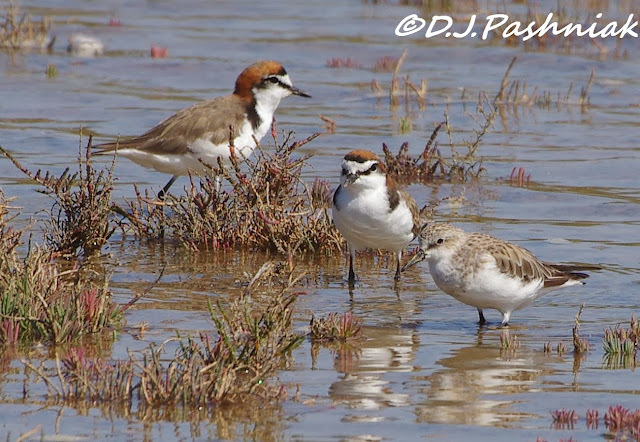 Red-capped Plovers, a perfect name as they do look like they have hats on! A beautiful area you have to explore! I just love to come here and see the shorebirds..I like the Red capped plover like everyone else but the sleeping stints are my favourite and I also like it when the birds are happy and sleeping by me. We share proximity and affinity with similar habitats! I've been enjoying Red-necked stints recently as well. Thanks for your kayak advice recently. I had my brothers' out at the weekend - it's a Finn kayak "Gizmo" (sit on top and perhaps smaller than I would confidently carry any sort of camera on!) I'll keep investigating! Hi Mick... Love your Mullens spot, so full of many interesting things to explore!! 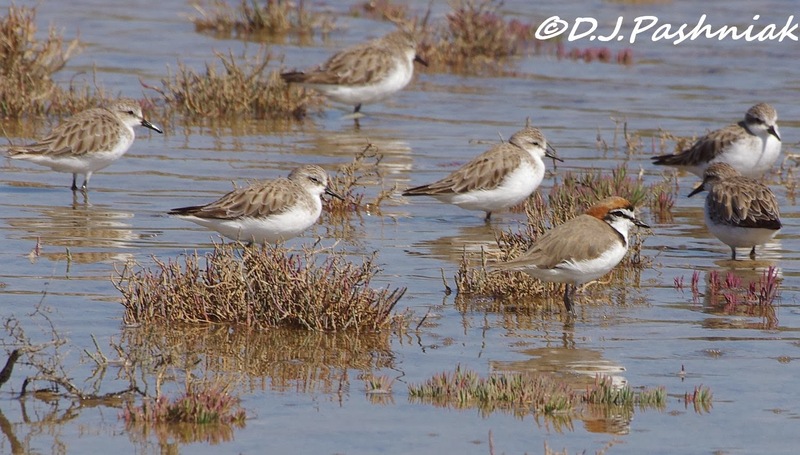 Love those shore birds and the Red Capped Plovers are real nice !! The Oystercatcher is a beauty!! Very nice photos of the inhabitants, and this lovely place!! The Red-capped Plover is a new one for me. I would absolutely love this type of trek. However, you must be super quiet......me and water...well ah....I would need to practice the silent bit:) Very cool finds. Loved seeing the 'new species for me'........the red capped plover!!! Wonderful birds. You got some lovely photos of them. What a great day you had. Such beautiful shots! Your shorebird photos are always fantastic! I'm looking forward to catching up with all these birds soon! I really ought to get a kayak! I love how close you can get to the shore birds. 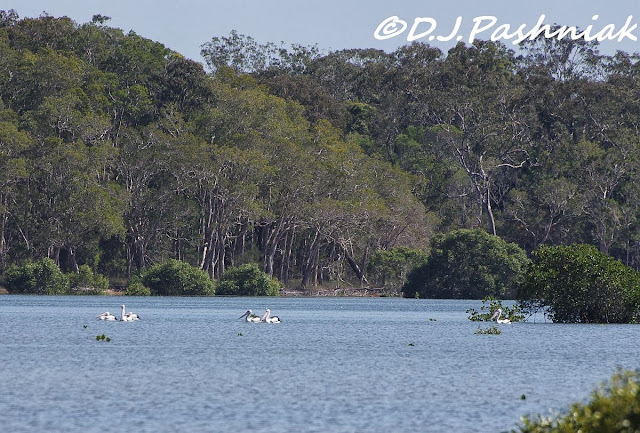 The close ups are so pretty with the birds wading through the lightly colored vegetation.